As with any medical therapy, outcomes of rosacea treatment may vary from case to case. Compliance with therapy -- using your medication as your doctor prescribes -- is an important key to success. Please consult a dermatologist or other physician to determine the appropriate therapy for your individual case. Subtype 1 (erythematotelangiectatic) rosacea is characterized by flushing and persistent facial redness. Visible blood vessels may also be present, and facial discomfort is common. Because this subtype is difficult to treat with medical therapy, it may be especially important for you to identify and avoid lifestyle and environmental factors that trigger flushing or irritate your skin. The appearance of flushing, redness and visible blood vessels may also be concealed with cosmetics, and facial discomfort may benefit from appropriate skin care. Visible blood vessels and severe background redness may be reduced with lasers or intense pulsed light therapy. Several sessions are typically required for satisfactory results, and touch-up sessions may later be needed as the underlying disease process is still present. In specific cases, extensive flushing may be moderated somewhat through the use of certain drugs. Subtype 2 (papulopustular) rosacea is characterized by persistent facial redness and acne-like bumps and pimples, and is often seen after or at the same time as subtype 1. Fortunately, however, a number of medications have been extensively studied and approved for this common form of rosacea, and may also be used on a long-term basis to prevent recurrence of symptoms. In mild to moderate cases, doctors often prescribe oral and topical rosacea therapy to bring the condition under immediate control, followed by long-term use of the topical therapy alone to maintain remission. A version of an oral therapy with less risk of microbial resistance has also been developed specifically for rosacea and has been shown to be safe for long-term use. Higher doses of oral antibiotics may be prescribed, and other drugs may be used for patients who are unresponsive to conventional treatments. Subtype 3 (phymatous) rosacea is characterized by skin thickening and enlargement, most frequently around the nose. This condition develops primarily in men. Although mild cases may be treated with medications, moderate to severe manifestations typically require surgery. A wide range of surgical options is available, including cryosurgery, radiofrequency ablation, electrosurgery tangential excision combined with scissor sculpturing and skin grafting. A surgical laser may be used as a bloodless scalpel to remove excess tissue and recontour the nose, often followed by dermabrasion. Subtype 4 (ocular) rosacea is characterized by any one of many eye symptoms, including a watery or bloodshot appearance, foreign body sensation, burning or stinging, dryness, itching, light sensitivity and blurred vision. A history of having styes is a strong indication, as well as having "dry eye" or blepharitis. Treatment for mild to moderate ocular rosacea may include artificial tears, oral antibiotics and the daily cleansing of the eyelashes with baby shampoo on a wet washcloth. More severe cases should be examined by an eye specialist, who may prescribe ophthalmic treatments, as potential corneal complications may involve the loss of visual acuity. 1. Odom R, Dahl M, Dover J, Draelos Z, Drake L, Macsai M, Powell F, Thiboutot D, Webster GF, Wilkin J. Standard management options for rosacea, part 2: Options according to subtype. Cutis 2009;84:97-104. 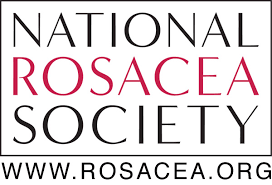 © 1996-2016 National Rosacea Society All rights reserved.